KATHMANDU: Tuberculosis kills 18 people every day, according to the National Tuberculosis Center. In 2017/18, at least 196,000 people have been suspected with the disease. However, less than a quarter of the patients, around 32,000 accessed treatment, the Center said. Of the total patients, 64% are men. Around 45,000 new cases are detected every year in Nepal and 15 out of every 100 people suffer from passive tuberculosis. According to the World Health Organization, Tuberculosis is the world’s leading infectious killer. “Each day, nearly 4,500 people lose their lives to TB and close to 30,000 people fall ill with the disease…It’s time to End TB,” the WHO said. Global efforts to combat TB have saved an estimated 54 million lives since the year 2000 and reduced the TB mortality rate by 42%. In Nepal, despite 60 years of programs to prevent TB, the results have been dismal and the rate of new cases is on the rise. This year, the Ministry of Health and Population has allocated Rs. 700 million to treat TB patients. Every year, 45,000 new cases are detected in the country. Bhim Singh Tinkari, director of the National Tuberculosis Center, said that while the government provides free medicines, many were barred from the facility due to geographical remoteness and stigma. At present, the Ministry of Health is providing DOTS service from 4,323 treatment centres and the sputum examination service from 604 laboratories while it has set up 56 gene expert centres. 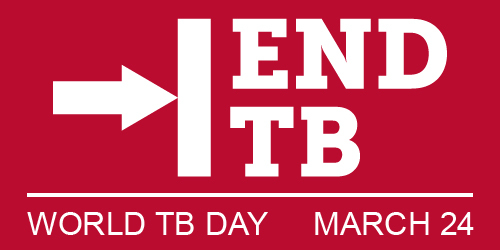 On 24 March 1882, German physician and Nobel Prize laureate Robert Koch announced the discovery of the bacterium that causes tuberculosis (TB) - a date marked by World TB Day today. This year’s theme on World Tuberculosis Day is “It’s time”. “The South-East Asia Region is the world’s most TB-affected region,” Dr. Poonam Khetrapal Singh, regional director of South-East Asia said in her article, “Now is the Time.” She highlighted that the region accounts for 44 percent of the 10 million people globally that fell ill with TB in 2017; it also makes up more than 50 percent of the 1.27 million TB deaths which, when TB-HIV mortality is accounted for, is estimated to be 1.6 million annually.